This species was described the first time based on specimens from Tam Dao National Park, by Asahina in 1997. Recently, it has been known that very common locally in pristine forests of North Mountain in Vietnam. 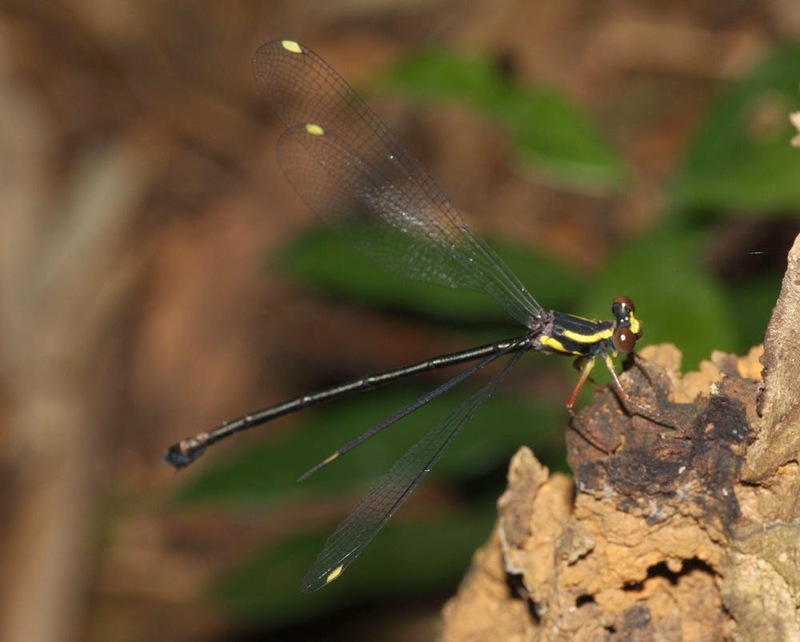 A small medium size damselfly, the body is deep black with cream yellow marking. Males and females are similar. The head with distinct cream yellow face. The thorax is very typical with two cream yellow strips in lateral view. Of which, the anterior strip continues from synthorax to prothorax. The wings are petiolated and always open at rest. The legs are red brown; with base of femur is cream yellow. There is a spin on dorsal side of 10th segment of the male abdomen. 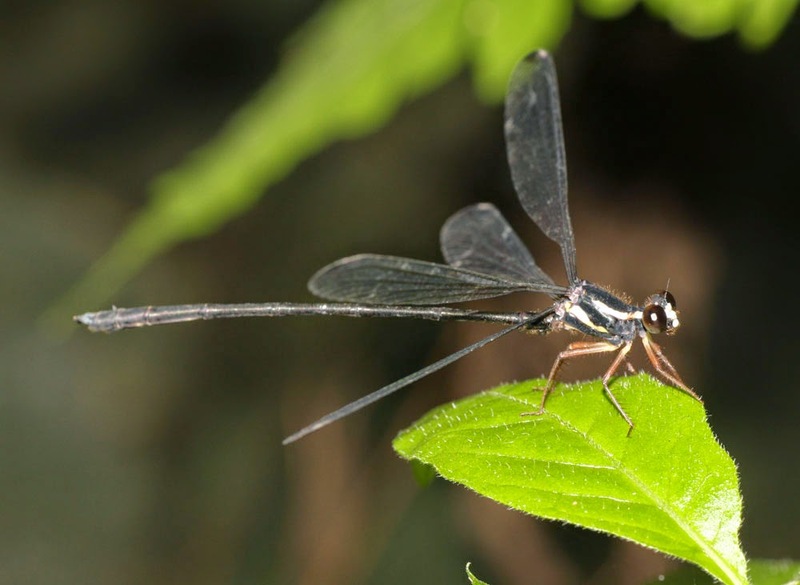 The damselfly is found in pristine forests of High Mountain with elevation about 1000 m. The females fly far from their breeding sites while the males usually guard their territory where are humid streams in dark forests. However, they are weakly flying insects; often hide themselves in dark of canopy or in side vegetation of the forests.